The Goths were Arians, meaning that they followed the teachings of Arius about the person and nature of Jesus Christ. The "Silver Bible" was probably written for the Ostrogothic King Theodoric the Great at his royal seat in Ravenna. It was made as a special and impressive book written with gold and silver ink on high-quality thin vellum stained a regal purple, with an ornate binding. After Theodoric's death in 526 the Silver Bible is not mentioned in inventories or book lists for a thousand years. Parts of the "Codex Argenteus", 187 of the original 336 parchment folia, were preserved at the former Benedictine abbey of Werden, (near Essen, Rhineland) among the richest monasteries of the Holy Roman Empire, whose abbots were imperial princes and had a seat in the imperial diets, where it was rediscovered in the 16th century. The book, or the remaining part of it, came to rest in the library of Emperor Rudolph II at his imperial seat in Prague. At the end of the Thirty Years' War, in 1648, it was taken as war booty to Stockholm, Sweden, to the library of Queen Christina of Sweden. After her conversion to Catholicism and her abdication, the book wound up in the Netherlands. In the 1660s, it was returned to Uppsala University by count Magnus Gabriel De la Gardie, who also provided its present lavishly decorated binding. 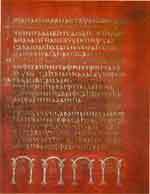 The codex remains to this day at the Uppsala university library Carolina Rediviva. It is unknown whether the other half of the book survived, and the wanderings of this Codex, the disappearance for a thousand years and possible fragmental remains remain a mystery. The final leaf of the codex, fol. 336, was discocered in October 1970 in Speyer, Germany. It was found at the restoration of the Saint Afra chapel, rolled around a thin wooden staff, contained in a small reliquiary originating in Aschaffenburg. The leaf contains the final verses of the Gospel of Mark. The first publication mentioning the codex appeared in 1569, by Johannes Goropius Becanus of Antwerp. In 1597, Bonaventura Vulcanius, another Dutchman, , published the text, the first publication of a Gothic text altogether, calling the manuscript Codex Argenteus for the first time. In 1737, Lars Roberg, a physician of Uppsala, made a woodcut of one page of the manuscript; it was included in Benzelius' edition of 1750, andthe woodcut is preserved in the Linkoping Diocesan and Regional Library. Another edition of 1854�7 by Anders Uppstrom contained an artist's rendition of another page. 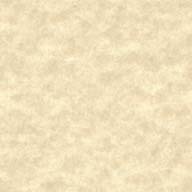 In 1927, a facsimile edition of the Codex was published. Ulfilas or Wulfila (perhaps meaning "little wolf") (c. 310 - 383), bishop, missionary, and translator, was a Goth or half-Goth who had spent time inside the Byzantine Empire at a time when Arianism was dominant. Ulfilas was ordained a bishop by Eusebius of Nicomedia and returned to his people to work as a missionary. 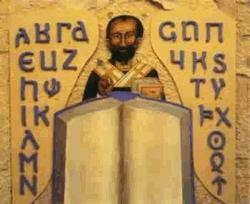 Ulfilas translated the Bible from Greek into the Gothic language. 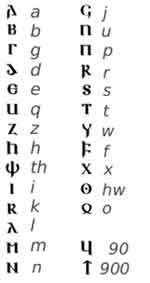 For this he established a Gothic alphabet writing system. Fragments have survived and are known as the Codex Argenteus, in the University Library of Uppsala. Ulfilas converted many among the Visigoths and Ostrogoths, preaching an Arian Christianity, which when they reached the western Mediterranean, set them apart from their overwhelmingly Catholic neighbours and subjects. The Gothic alphabet is an alphabetic writing system attributed to Wulfila used exclusively for writing the ancient Gothic language. Before its creation, Gothic was written in Gothic runes. It was primarily used by Wulfilas to translate the Bible into Gothic. It appears to be derived from the Greek alphabet with some borrowings from the Latin one. The names clearly derive from the names of runes. Gothic language New Testament texts are preserved in the Codex Argenteus, the Codex Ambrosianus, and in some palimpsests and in other fragments, such as the Codex Carolinus in Wolfenbuttel. In exterminating Arianism, many texts in Gothic will have been expunged, and overwritten as palimpsests, or collected and burned. Apart from these texts from the New Testament, the only other Gothic document, and the only text known to us that was originally composed in the Gothic language, is the "Skeireins", a few pages of commentary on the Gospel of John. There are very few references to the Gothic language in secondary sources after about 800 AD, so perhaps it was rarely used by that date. In evaluating medieval texts that mention the Goths, it must be noted that many writers used "Goths" to mean any Germanic people in eastern Europe, many of whom certainly did not use the Gothic language as known from the Gothic Bible. Some writers even referred to Slavic-speaking people as Goths. There is also the case of the "Crimean Goths". A few fragments of their language dating to the 16th century exist today. Assuming those fragments are genuine, it appears to be a different language from the one used in the Gothic Bible (but is still certainly Germanic). Codex Argenteus (and Speyer fragment): parts of the gospels, 188 leaves. Codex Ambrosianus (Milan) (and Codex Taurinensis) five parts, totalling 193 leaves. Codex Gissensis (Gie�en) one leaf, fragments of Luke 23-24. found in Egypt in 1907, destroyed by water damage in 1945. Codex Carolinus: Wolfenb�ttel, 4 leaves, fragments of Romans 11-15.